It was during our trip to Bonito, that I first realised that Portuguese had more nouns for groups of animals than English or German. A woman had asked what again the word was for a swarm of butterflies, and the answer was panapaná – used for butterflies and nothing else. Indeed, as a colleague taught me later, Portuguese has a whole set of nouns that describe groups of animals, going way beyond the swarm, herd or flock other languages have to offer. Some of these collective nouns are unique to wild or domestic animals, some to birds or fishes and others can be used just as well for a group of bandits. And, the absolute favourite in our house: bleacaute – blackout. Sometimes however, the original spelling is kept and only modified so far as to make a proper verb, e.g. pasteurizar or parboilizar which has then all the properties & conjugations of any (regular) verb. Beyond the meaning, comes the wish-thinking in the form of problemazinho – a little, a small problem. 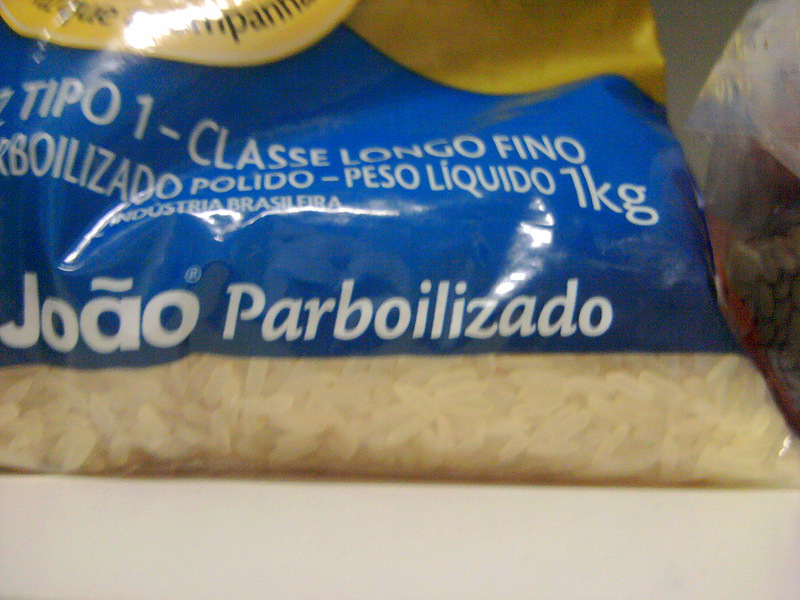 While grammatically, problemazão exists as well, no Brazilian would ever admit that you are just confronted with a such. Which leaves us – last but not least – with obrigadão – a big thank you for reading! * Technically português do Brasil as opposed to português do Portugal. Only that I have absolutely no idea about the latter since I’ve never been there. Today, I had one of those moments where I just wished not to understand other people. Of course, it’s a good sign that I understand by now almost anything or anybody when it comes to Portuguese. It was one of those moments in which I longingly remember the blissful time when I would simply continue reading my book because I didn’t understand and in which I very much wish that language skills could be momentarily suspended. The first week in a new place. In a new country for this matter. This irritating feeling to have lost all reference points. And, even worse, not really being able to speak the language. But then, there is also the police officer who walks over and then doesn’t stop chatting with me for almost an hour. That helped to boost the confidence in my Portuniol! There is the moment when taking a sport class and three ladies come over to say hello. And the successful finding of this building I was looking for even though the bus dropped me off at a 20 minutes distance. There is the chat with the lady from the university secretariat. The professor is still not in but now I know when he should be. And the ride home in a cab that a guy at the bus stop negotiated for me. Did cost only 0.50 reais more than the bus and was much, much faster. Leaving life at is behind to build a new one. Never easy, but almost always worth trying.